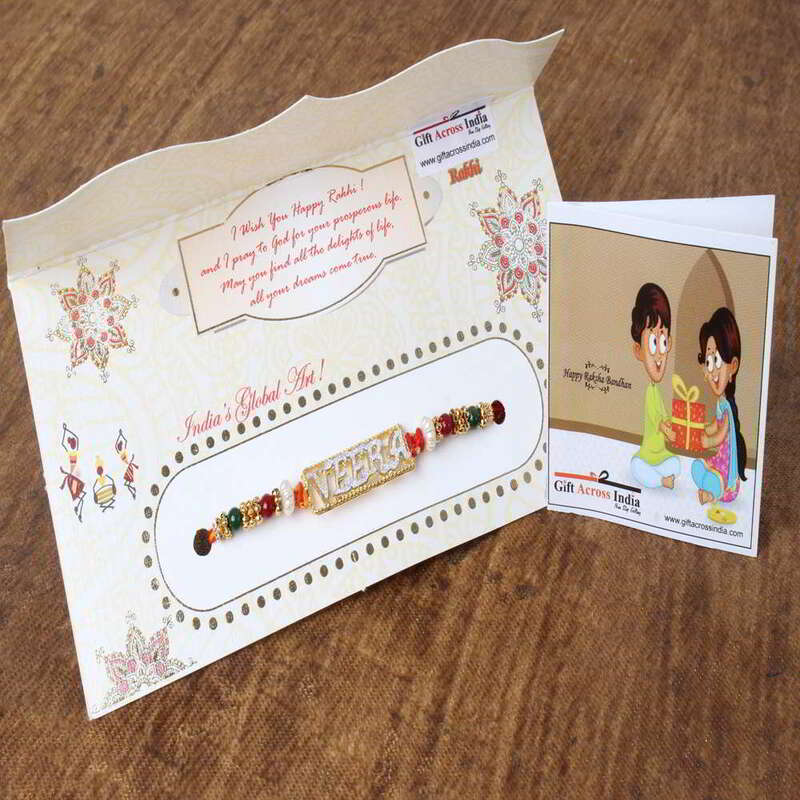 Raksha Bandhan special designer Rakhi with a Veera dial and colorful beads tied on the designer card designed especially for eve looking amazing. 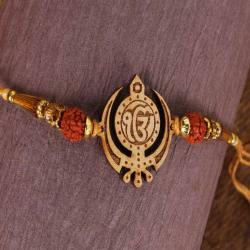 The Veera dial with a glittering effect looks catchy with matching beads. 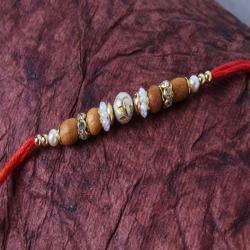 The overall look of the Rakhi has a class in its gaze which will attract the attention of all. 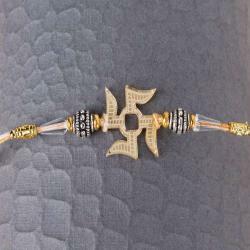 Send your love and blessing to your loved one with this special gift and make them feel it. 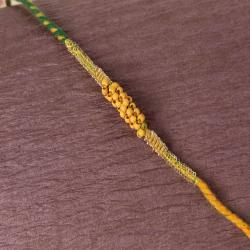 It is not just a thread but it is a love bond between you and your loved one which gets stronger every year. 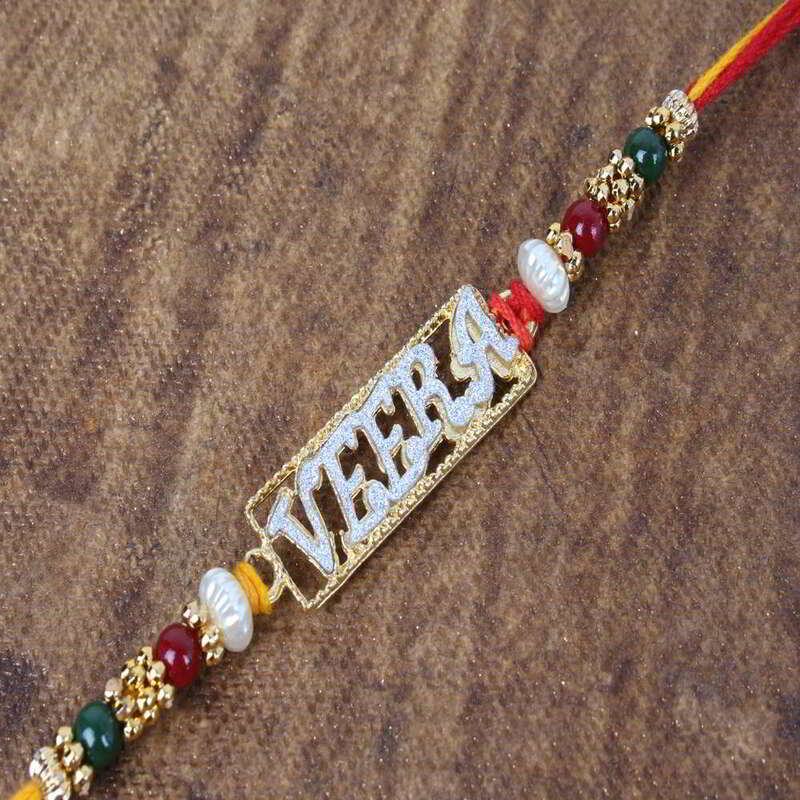 Product Consists: Designer Veera Rakhi with colorful beads nicely tied on a designer Card.